Sign up for our Occasional E-Newsletter and get word of Subscriber-Only Discounts. 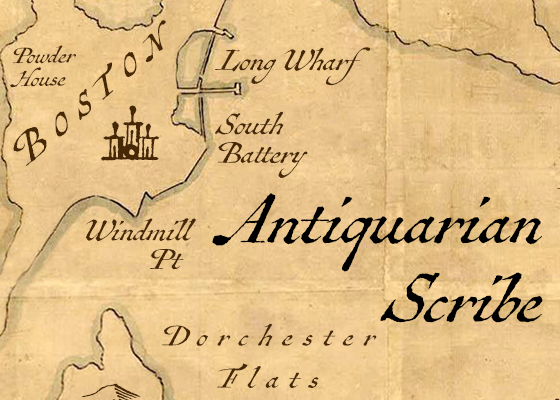 FREE with any order this month is Antiquarian Scribe, a vintage handwritten font based on the script in an early-1700s atlas. 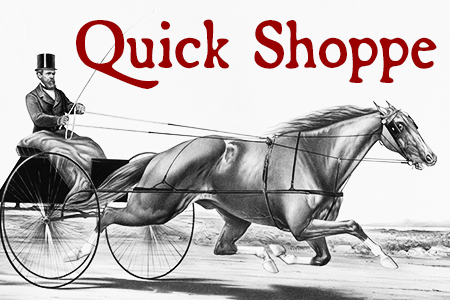 No discount code requiredsimply buy any other font (or fonts) before 01 May 2019, and you’ll also get a free download link to this legible antique pen font (a $39 value). Has more than 1,000 glyphs, including scores of ligatures, true small caps, and a series of cartographic ornaments, and full Latin support. 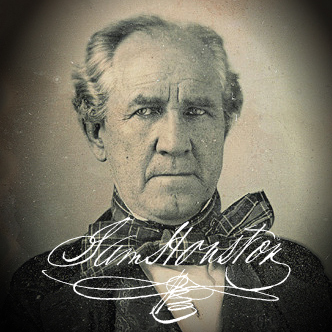 ...Austin Pen, a two-style 1800s script font modeled after the penmanship of famed Texas empresario Stephen F. Austin. Austin Pen has a legible regular style and a unique bold weight that replicates the look of an over-inked pen. Comes with hundreds of ligatures and other OpenType alternates, ink blots and cross-outs, an uppercase hand-lettered alphabet, and full Latin support. Try it out here. Check out our Texas Heroes Set, comprised of five fonts that simulate the handwriting of famous early Texans. 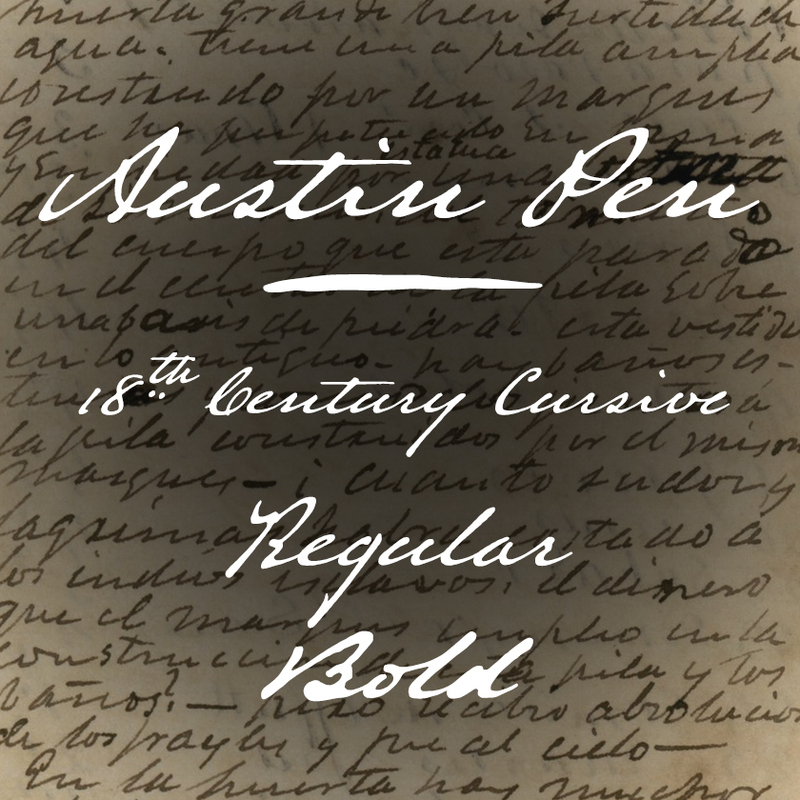 Includes Emily Austin, Houston Pen, Lamar Pen, Texas Hero, and Austin Pen, each with a distinctively 19th-century look and feel. All five come with numerous ligatures, old-style forms, ink blots, cross-outs, and full Latin support. Save 50% off licensing these fonts separately. » Click here. 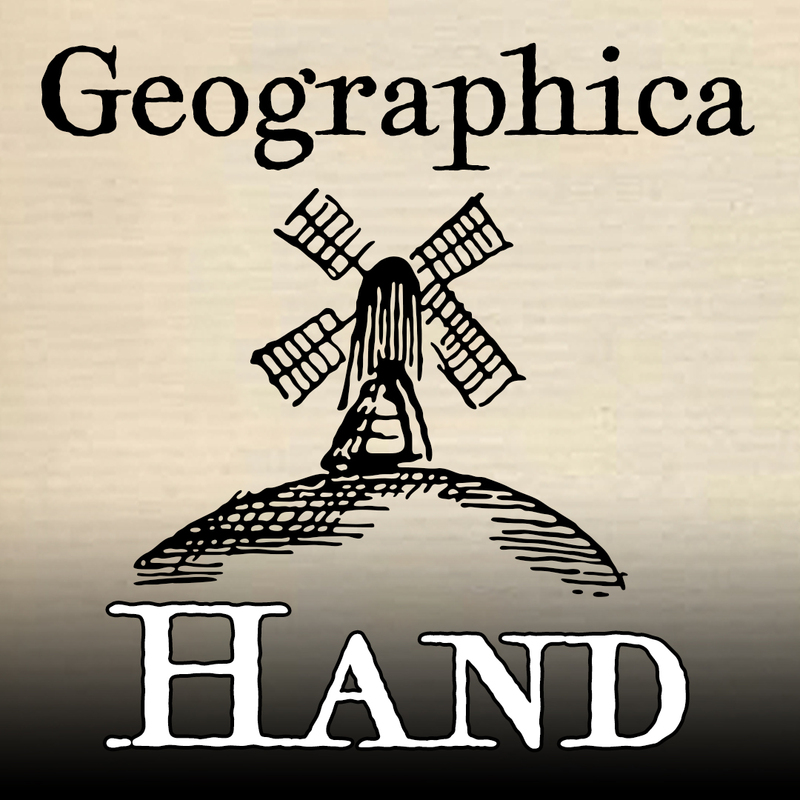 Geographica Hand, a replication of the hand-lettered titles on British map engravings of the 18th century. Geographica Hand is as legible and versatile as Geographica Roman but more genuinely evocative of the source materials. Its 900 glyphs include several sketchy cartographic illustrationstrees, churches, windmills, and he like. Geographica Hand is a member of both our Old Map Fonts collections. » Try it out here. 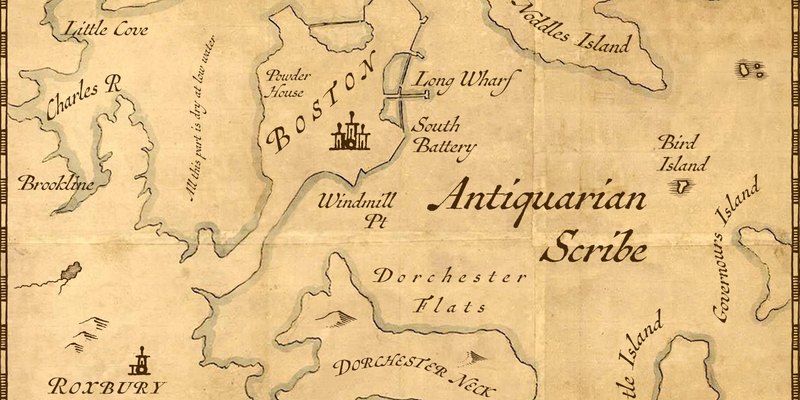 Geographica Script is a careful simulation of the kind of 18th-century roundhand script you’ll find on engraved maps and trade cards of the mid-1700s. Six months in the making, our latest old script font has more than 1,100 glyphs, including scores of ligatures, historical flourishes, and an eye-popping series of period ornaments. 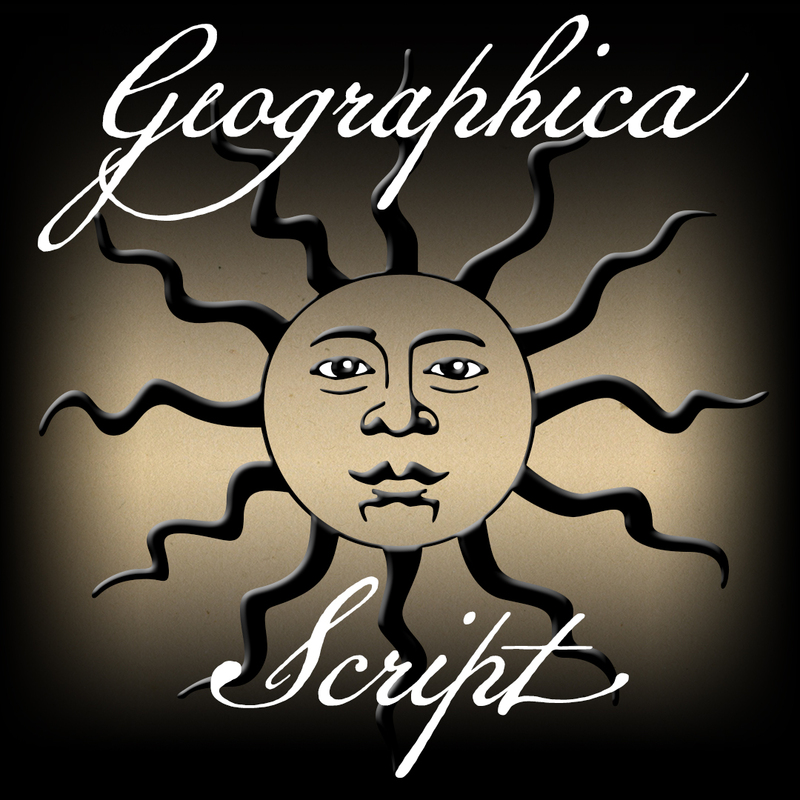 Geographica Script is a member of both our Historical Pens and Old Map Fonts collections. » Try it out here. 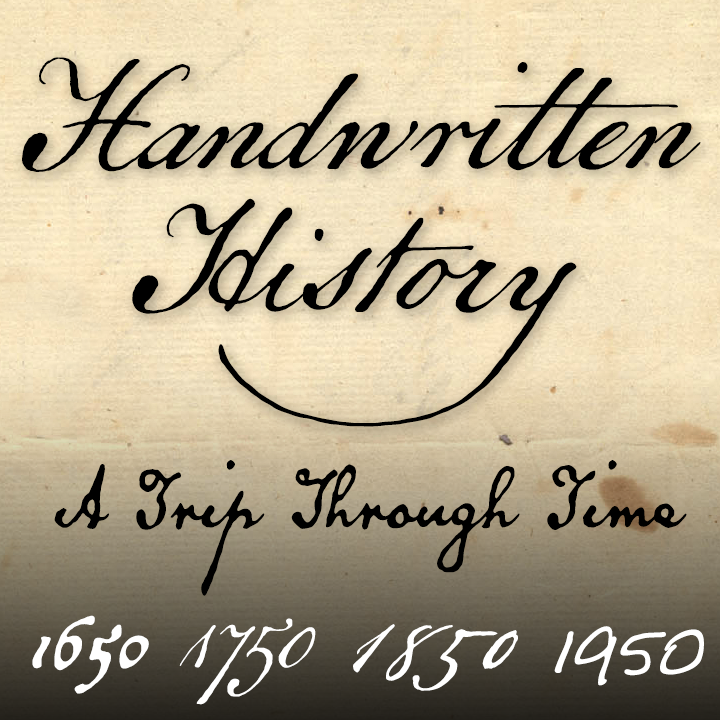 Our Handwritten History Bundle is a collection of 20 distinctive font designs representing authentic penmanship styles as they’ve changed through the ages, from 1650 to 2010. (Where else might you find a type collection that’ll let you write like John Quincy Adamsor the busy waitress at the local pub, depending on your mood?) Licensed separately, they’d cost $730, but you can have ’em all for just $149a savings of 80%! Geographica is a legible serif text-type family modeled after the hand-drawn place names and peripheral narratives on the mid-1700s New World maps of English engraver Thomas Jefferys. Geographica comes with Roman, Italic, Bold, and Bold Italic styles, true small capitals, scores of ligatures, two stylistic alternate titling capsand has a slew of cartographic ornaments, to boot. Try it out here. 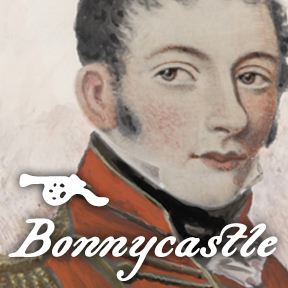 Bonnycastle is a vintage titling font inspired by the legends on some maps and charts by Sir Richard Henry Bonnycastle (17911847), an English military engineer who served in the War of 1812 and settled in Canada. 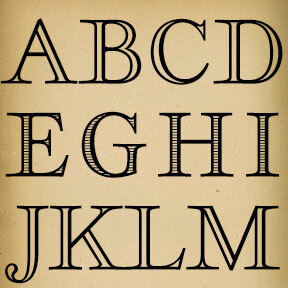 It comes with more than 1,100 glyphs, including true small caps, stylistic alternates, discretionary ligatures, and several cartographic ornaments. The newest member of our Old Map Fonts collection. Try it out here. 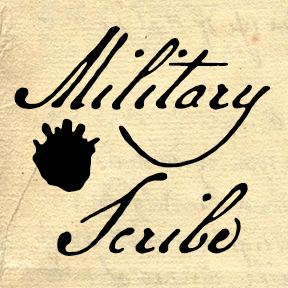 Military Scribe is modeled after the compact, legible script on the mid- to late-1770s muster rolls of the 10th Regiment of Foot, a British Military unit that saw action at the outset of the American Revolution in the Battle of Lexington and Concord as well as Bunker Hill. Comes with scores OpenType features, including historical ligatures, contextual alternates, and ink blotsmore than 1,000 characters in all. 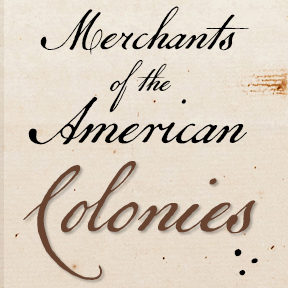 Remsen Script is a Colonial American cursive based on the hand of the penman who engrossed a three-page broadside addressed to British manufacturers on behalf of the merchants of Philadelphia. The merchants' appeal failed, of course, but the broadside survives as an ancestral keepsake of a family named Remsen. An elegant cursive with numerous period ligatures, conditional alternates, and OpenType stylistic sets. 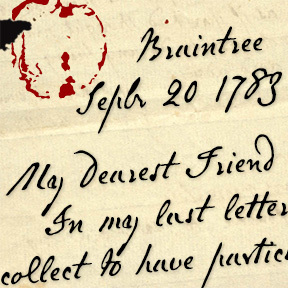 The eponymous inspiration for Abigail Adams carried on a famous epistolary dialog with John, her husband and "Dearest Friend," for more than forty years. Abigail Adams wrote swiftly and intellegently, if not beautifully, in a hand that somehow perfectly represents late-1700s Americaas well as her role as key advisor to the second President of the United States. Click here for details. Copyright ©19932019 Three Islands Press.